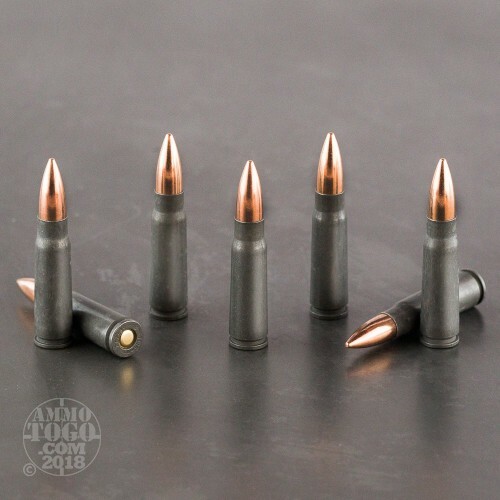 This 7.62x39mm ammunition is made by Tula in Russia and delivers cost-effective target shooting for AK and SKS rifles. 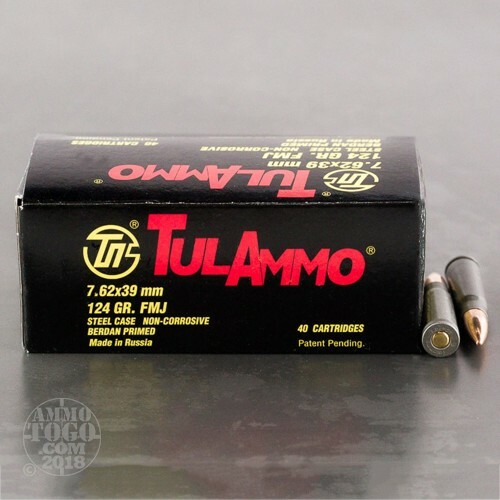 Each cartridge in this box of 40 fires a 124 grain full metal jacket bullet. 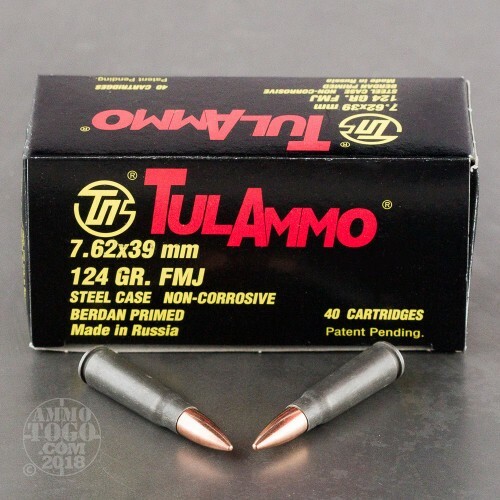 Like most Russian-made ammo, these cartridges use non-corrosive Berdan primers and non-reloadable steel cases with friction-reducing polymer coatings. 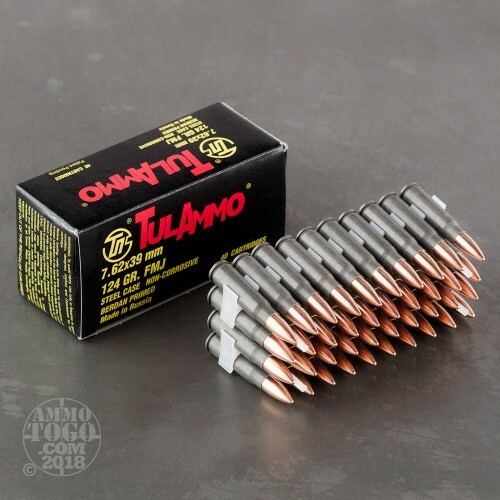 This ammo is magnetic and may not be suitable for all indoor ranges.